In this article, Dr. Maria Cavallazzi, ND at the Mindful Healing Integrative Naturopathy Clinic talks about the importance of gut health, and what you can do to improve yours. More and more research is coming out showing a powerful connection between your gut and, well, a lot. Some of the strangest, most unlikely health conditions, including anxiety, depression, skin conditions, asthma, and a whole lot of autoimmune conditions, can be directly linked back to poor gut health. There are others, too, for which it shouldn’t be a surprise that they’re linked to your gut, which includes IBS, acid reflux, constipation, colitis, and diarrhea. This means the allopathic method of disease identification, where a health problem is identified by the area it affects, is starting to become outdated. Asthma, for example, was considered a lung problem because it affects the lungs, and acne is a skin problem because it affects the skin. This isn’t entirely wrong, but it’s also incomplete. Sometimes, health issues have to do with the place where they’re located in the body – like lung cancer in a lifetime smoker, for example – but your entire body is connected. Treating a problem located in your lungs as a lung issue means you may miss the issues in other parts of your body which may be contributing to the problem. But Why Is The Gut So Important? Your gut is filled with trillions of microscopic organisms of an incredibly diverse nature. According to a 2014 paper published in Cell Host & Microbe, there are over 1000 different species of microorganisms in your gut. In the broadest sense of the word, these are “germs”, but they’re not like the germs you want to get rid of when you wash your hands. Instead, these bacteria help you digest food, control your immune system, and regulate the health of your brain. Each of these functions is important enough that you would have a difficult time living without them. So you can see how important the health of your gut is. Why Do People Have Unhealthy Guts? Here in the west, modern medicine has given us amazing things. But it has also caused some problems. Antibiotics, for example, have been a lifesaver. But when you take an antibiotic to fight off a disease, you’re essentially dropping a carpet bomb on your entire system. Yes, it may take care of the harmful bacteria in your body, but it will take out a lot of your friendly bacteria as well. And since we already talked about how important those bacteria are, we can see the damage an unhealthy gut can cause. 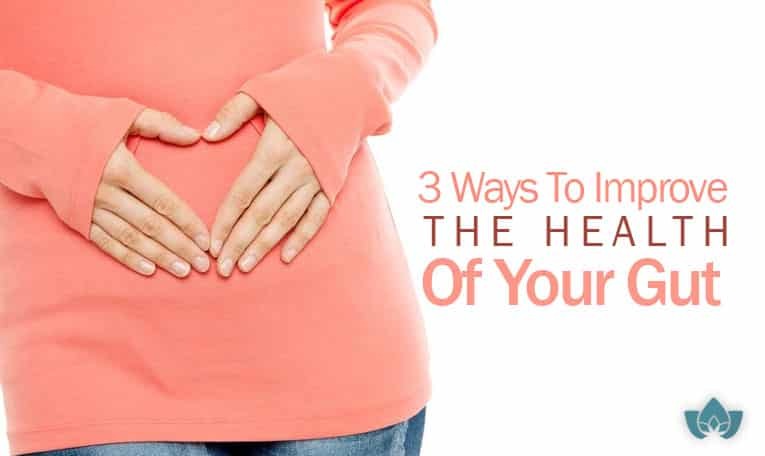 Below, you’ll find three tips on how to improve the health of your gut. Fibre is an important part of keeping your gut healthy. Interestingly, your body actually can’t digest it. But the bacteria in your gut can, so by providing them with the nutrients they need, they can continue to work for you. Fermented foods are foods that have gone through a process called lacto-fermentation. During this process, bacteria feed on the sugars and starches in the food, and in the process create lactic acid. This helps preserve it, which is why sauerkraut lasts a whole lot longer than regular cabbage. But it also fills the food with a variety of beneficial stuff, including B-vitamins, Omega-3 fatty acids, and some healthy bacteria, including lactobacillus. Now, alcohol is also a fermented food. The process of creating beer, for example, relies on many of the same processes as creating sauerkraut. After all, it’s essentially fermented barley. However, alcohol can also lead to a condition called Leaky Gut Syndrome where the boundary between your gut and the rest of your body becomes permeable. This means all sorts of things which are good for you when they’re found within your gut can escape. We’ll talk more about Leaky Gut Syndrome in another article. For now, limiting your consumption of alcohol and sugar can help you avoid Leaky Gut Syndrome, and improve the health of your gut. Are you experiencing one of the conditions listed above? 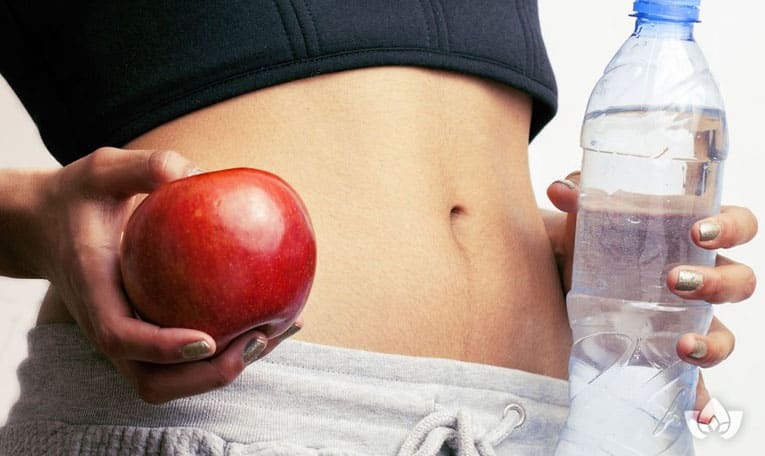 Do you believe you may be suffering from poor gut health? If so, contact Dr. Maria at the Mindful Healing Clinic to book your FREE health and wellness session. You’ll get a chance to sit down with Dr. Maria and get all your questions answered. From there, Dr. Maria will listen to your concerns and help you understand a treatment plan to address these issues and get you feeling healthy again. Contact The Mindful Healing Clinic to book your FREE health and wellness session today.